Located right in the middle of the Alps, halfway between Chamonix and Geneva, Le Grand Massif welcomes wintersports enthusiasts to a ski area full of character and contrast. (Partial opening from 10th to 16th December 2016, and from 18th to 23rd April 2017 subject to snow conditions). Summer opening dates 2016 : Open from 2nd July 2016 to 28th August 2016 (Les Carroz) from 9th July 2016 to 26th August 2016 (Flaine, Morillon, Samoëns, Sixt). 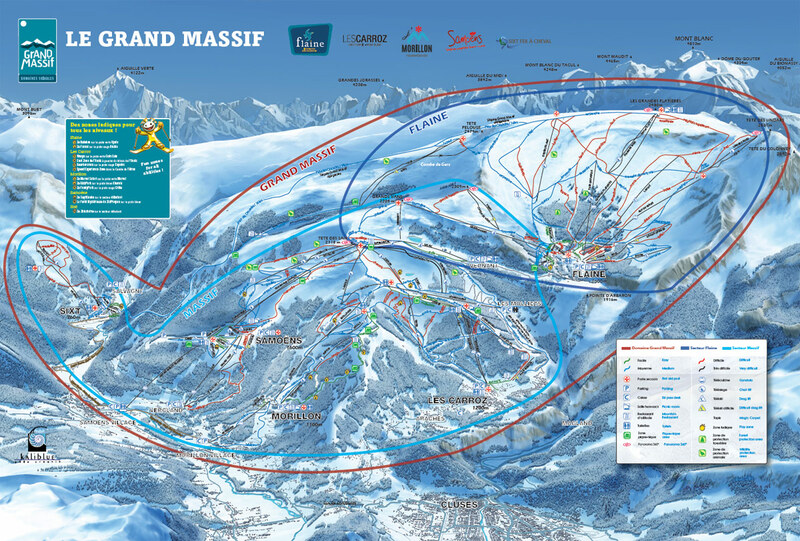 Contact us to benefit of exclusive offers on your ski passes.